A custom patch is a patch that has been developed specifically for a certain application or game to modify different aspects of the latter. They can be found on Lucky Patcher’s website and can also be installed from the options menu. From here, we'll be offered two different possibilities: to download the custom patches and to show the latest ones added to the app's list. Lucky Patcher takes care of analyzing which applications have been installed and then compares them to its database to download or update the patches available for the latter. 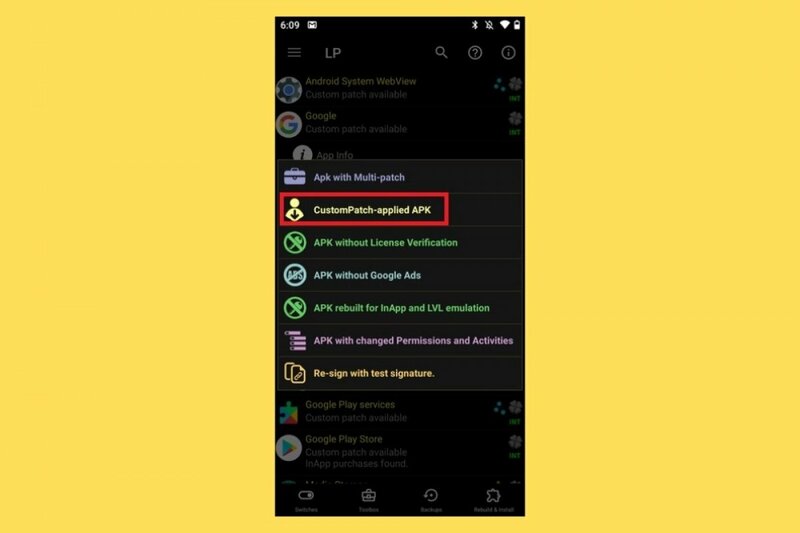 The advantages of using one of these custom patches is that we’ll be able to carry out adjustments automatically on the applications we've installed on our phone without having to try out all Lucky Patcher’s options one by one. Removes the license verification in applications. Removes adverts embedded into apps. Modifies the permissions associated to applications. Allows us to backup apps extracting them in APK format. Unblocks purchased paid apps to be able to take them to other devices. All these functions make it impossible to download the app from Google Play, so you’ll have to resort to other alternatives of the likes of Malavida to download its APK.